China is speeding up its bid to roll out the science and technology innovation board, backed by early progress in related reforms and a steadily recovering stock market, analysts said. As a significant step in capital market reform, the new stock trading platform is likely to launch in the first half of 2019, boosting innovation and improving market efficiency, they said. A meeting of the Party's central committee for deepening overall reform held on Wednesday reviewed and passed the plan to launch the new board and experiment with the registration system, measures announced only about 80 days earlier. Under the registration system, eligible enterprises can go public by filing required documents. Currently, the A-share market adopts the approval system, where regulators decide whether a company can be listed or not. "China is making rapid progress in pushing forward the new board, which features the registration system, thanks to the sufficient preparation gradually done before," said Li Ye, an analyst with Shenzhen-based Great Wall Securities. The country initiated the reform of replacing the approval system with the registration system in 2013, with the following five years witnessing a full discussion of how to promote the reform, Li said. Dong Dengxin, director of the Finance and Securities Institute at the Wuhan University of Science and Technology, agreed. "Over the past five years, the A-share market has continuously carried out reforms to implement the registration system, such as refining rules of information disclosure and delisting. Now, it is proper to say the market is prepared to embrace the registration system," Dong said. "To prudently introduce the new system, China started the reform with the science and technology innovation board. One year later, more sub-markets may begin to adopt the system, helping to solve the bane of the Chinese stock market－excessive administrative controls," he said. On the other hand, recovery of the A-share market also underpins the rapid pace of rolling out the new board, Li said, because when investors are in a bearish mood, their worries about any shift of funds from existing boards to the new one can cause a plunge of the market. "After last year's slump, the A-share market has basically stabilized, and policies buoying the market have been continuously introduced. Meanwhile, the mitigating of trade disputes and relatively stable overseas markets also make the first half of 2019 an appropriate time to launch the new board," Li said. On Thursday, three major indexes of the A-share market went up, with companies producing chips and computer equipment leading the gains. The benchmark Shanghai Composite Index was up 0.41 percent to close at 2591.69 points, registering a 3.92 percent gain from the beginning of this year. 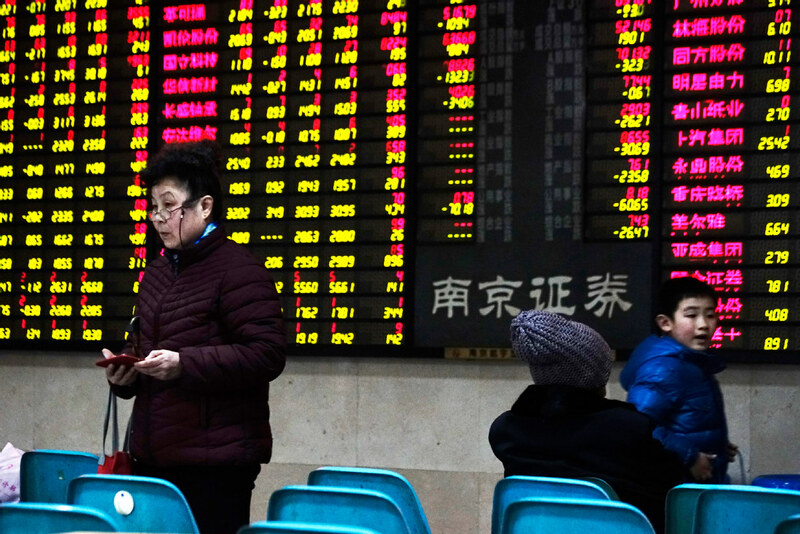 Detailed rules of the new board will probably be released in March, according to a report from the Shanghai-based Guotai Junan Securities released on Thursday. Launch of the new board could motivate enterprises to invest more in research and development and facilitate finance of tech companies, helping China achieve innovation-driven growth, the report said.